Power Locks, BLUETOOTH WIRELESS/ HANDS FREE. Clean CARFAX. Odometer is 18054 miles below market average! 26/38 City/Highway MPGAwards: * 2015 KBB.com 10 Best UberX CandidatesToday, we honor our history by bringing our Glendale customers excellent service and only the best vehicles. At Glendale Dodge Chrysler Jeep, we offer new Dodge, Chrysler, Jeep, and RAM models in Glendale, as well as pre-owned vehicles from top manufacturers. 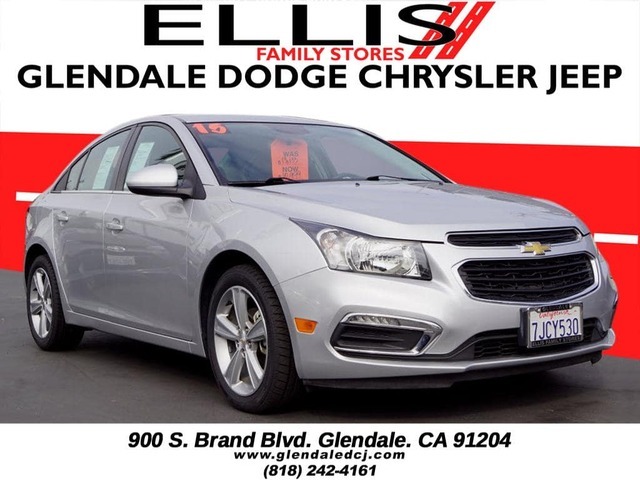 Our sales staff look forward to helping you find that new or used car, truck, or SUV you have been searching for in the Los Angeles, Van Nuys, and Glendale areas!